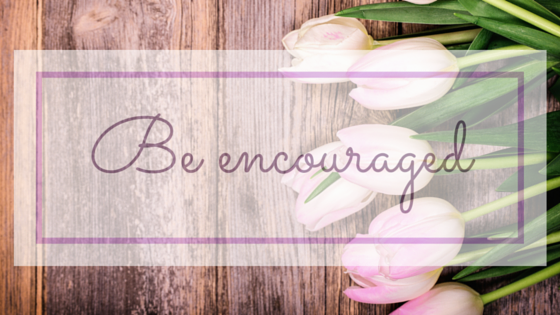 Be encouraged – what you are doing matters. I’ve made no secret about the fact that I am a Christian, However, the past couple of weeks have been harder than I expected they would be. Stressful actually. When you can’t eat, and you can’t sleep something has to give. I’m not telling you this to elicit your sympathy, but I’m sharing what I should have done the first day. What does that mean, anyways? It means that we do what 1 Peter 5:7 tells us to do, ‘Cast all your anxieties on him, because he cares for you.” I should have and instead of leaning in on scripture I tried to do things in my own strength. Running to Jesus is where I get supernatural strength when I feel worn out, and find rest in Him. Keeping God’s Word at the forefront of my day goes a long way in helping me stay focused on kingdom perspectives instead of the pulls of this life. Every mom needs a pick-me-up when times get tough. Soak in the truth of these verses. Your work is important, and what you’re doing right now, wiping boogers, packing lunch bags, folding laundry- it ALL matters. Take heart & Be encouraged my friend… God Himself is with you and will strengthen you. When I am discouraged, God often reminds me that I have to cling to Him by reading and meditating on the Bible, memorizing Scripture verses, praying, and remembering His promises. What a great reminder! Thank you for sharing and reminding me that on days like today (when things just feel off) the best response is to go back to God and let Him truly be in control. Thanks for sharing these great Bible verses! We can never get too much encouragement as Christians I guess ? I need this, thank you so much. My week has been pretty crazy too and it seems all too familiar that we try to carry the weight of the world upon our backs instead of giving it to God and trusting in Him. Thanks for the great reminder and the wonderful encouragement! Thanks for linking up for some #mommatime! All the best verses to carry with you throughout the day. I’m not religious myself, but many of these still apply. What an inspiring post this is, It is also just what I needed to read at this moment. Thank you for this. All great verses to carry through every day. Have a great weekend! You are so strong and smart to turn your stresses to God. Thank you for the reminder. That’s so good! I really need to be in the Word more throughout my day, and not just in the morning. James 1:19 is one that I need to reflect on more often! Thank you for sharing these scriptures. Thank you for this dose of encouragement, Heather. I just read something like this and I really needed to hear them this much! I love the authenticity of your post. Our family is right there with you, with a series of weeks that have been more challenging than expected. Thank you for the words of encouragement. Wishing you a blessed week as you press forward, trusting in Him! I am a new mom, and so reading this has really been helpful! I worry a lot about the littlest things, and I have to remind myself to just cast all that burden unto Him. Nothing else has really given me peace more than knowing God will take care of our baby if it is in His will, no matter what I do. This is very refreshing to read, I have a hard time keeping my anxiety in check. I have to give it to God and then LET IT GO! That’s for the reminder. One of my favorite verses is the one above about “let us not grow weary in doing good.” It is easy to get discouraged, but we have to keep on doing what is right, true, and good! Wonderful words of encouragement! So glad we get strength from the LORD! This is wonderful encouragement for those having challenging days. Sometimes I feel discouraged by smaller situations (obviously big ones too, but smaller things came to mind first!) and I get worked up over something silly, but it’s amazing how His love see’s past that and He is so eager to meet us where we are – wherever that is, when we seek Him with our whole heart. Thank you for sharing with such honesty! I love these truths! So so so awesome. Nothing like battling the hard days with the WORD of God! Hope you get to feeling better soon Heather. This was an encouragement to me. We were meant to encourage one another with His word, and I appreciate that you have left me with plenty of verses to pick from today.